Popular tipster OnLeaks on his Twitter account today shared the first 5K render of the upcoming OnePlus 7. The latest renders show something that we didn’t expect. The new render reveals that the upcoming OnePlus 7 will have a pop-up selfie camera like seen on the Vivo V15 Pro and Vivo NEX smartphones. 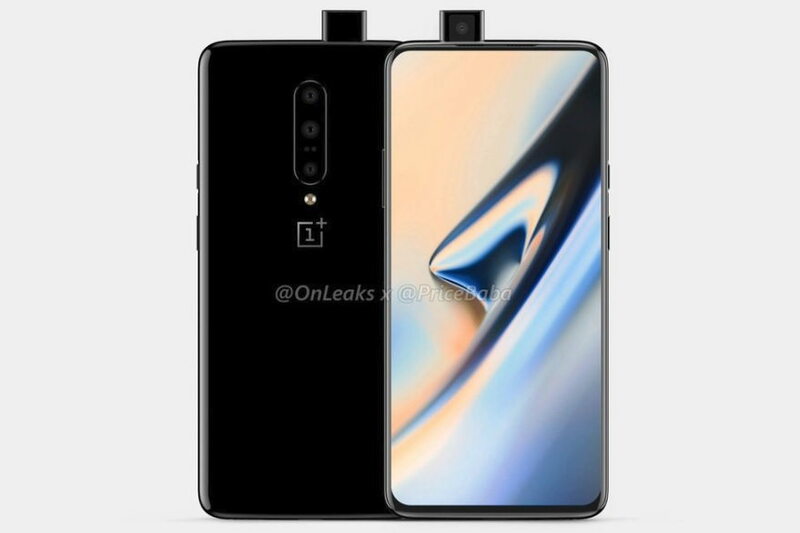 The render also reveals that the OnePlus 7 will sport a triple rear camera setup at its back. The new render of the OnePlus 7 matches with the image we had shared in our previous post. The phone appears to have a full view display with no notch as we have seen in the previously leaked image. The render further reveals the bottom speaker and a USB Type-C port. The source also shared a 360° video of the upcoming OnePlus 7. The OnePlus 7 display appears to be slightly curved from both sides and looks so clean. The phone was previously rumored to have a punch hole camera, but the new render now suggest that the upcoming OnePlus 7 will have a pop-up camera. There were also reports that OnePlus will launch a 5G variant of its upcoming OnePlus 7. Back in December last year, OnePlus CEO Pete Lau in an interview with Engadget said that OnePlus is working to make sure that the company’s first upcoming G5 smartphone available to customers for under $1,000. For now, we are not sure about what features and specs the upcoming OnePlus 7 will include and how much the device would actually cost.